On the final night of the Northside Festival, less than 24 hours after Courtney Love showed up to watch Wavves, Deer Tick performed a faithful 45-minute set of Nirvana covers at the Brooklyn Bowl under the moniker “Deervana”. Sunday night was the third “official” Deervana show (after SXSW and Bonnaroo), and is rumored to be the final performance of this particular cover show. 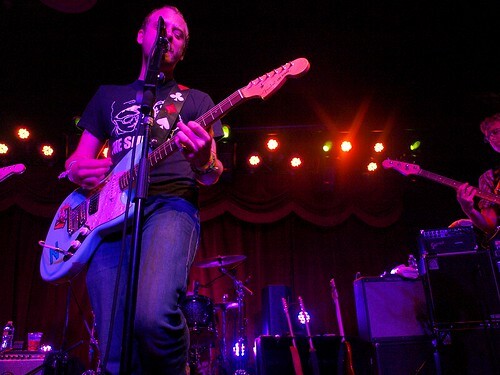 Although John McCauley was just nine years old when Kurt Cobain died in 1994, the Deer Tick leader has impressed us from the very beginning as an “old soul” with an intrinsic understanding of the nuances of influential music. In the case of Cobain, this would include performing his music with the irreverence of punk rock’s freedom while appreciating the deep pain and ultimate tragedy of its protagonist. In true Nirvana fashion, Deervana eschewed the “hits” and instead presented a set of the less recognizable but no less powerful numbers, including “In Bloom”, “Serve the Servants” and “Lithium” (streaming below). Throughout, the music was the centerpiece until the the very end of the set when all heck broke loose and Deervana crashed their Fender guitars with the most appropriate object in this particular venue — bowling balls. 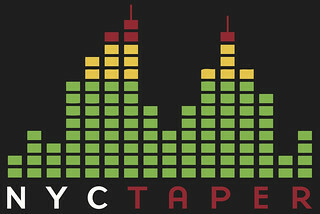 This set was recorded by our friend Erik, who stepped up when the rest of the NYCTaper crew was otherwise occupied. He received a mono board feed directly into an Edirol digital recorder. Although lacking in true stereo sound, the clarity of this recording is exceptional, and under the circumstances, its a superb capture of this memorable gig. Enjoy! If you email nyctaper for access to this recording, we expect that you will PLEASE SUPPORT Deer Tick, visit their website, and purchase their official releases from the Partisan Records Store [HERE].